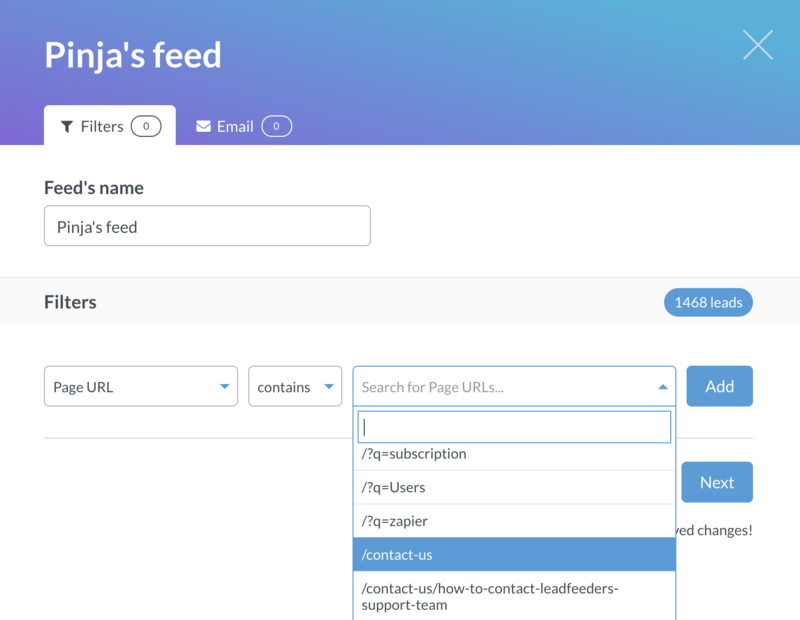 This guide explains how to create a custom feed. This is just an example and you should consider what sort of custom feed would work best for you. It will take you less than 1 minute to control the quality of the leads you see in Leadfeeder. You can create multiple feeds based on your preference. 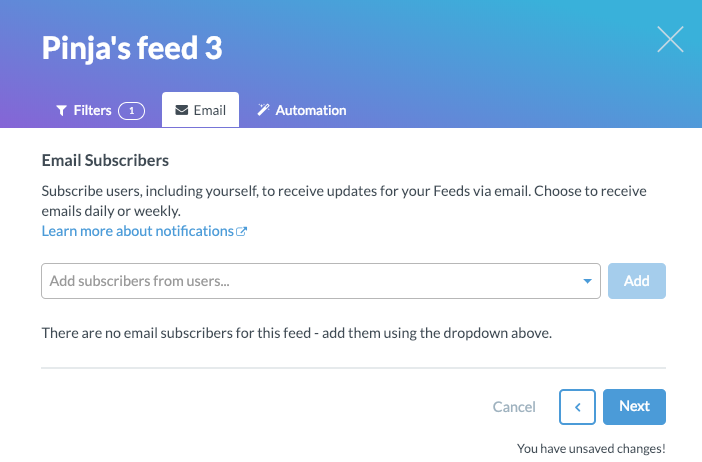 STEP 1: Log in to Leadfeeder and in the right panel above existing feeds click Create new feed. STEP 2: After clicking Create new feed, you will see the view below. Name the feed and select the wanted filters. In this example we select criteria where it says Page URL. 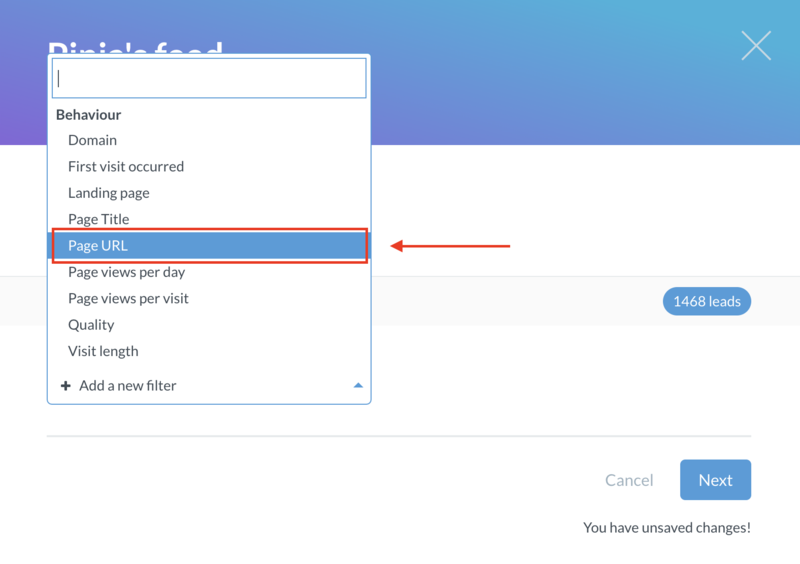 This means the custom feed filter will be by page URL. STEP 3: Clicking Page URL will take you to the following view, where you can control the filter by selecting the Page URL you want to follow. STEP 4: Once you're happy with the Page URL setting, just click Add. After that you click Next. STEP 5: Add subscribers from users from the dropdown menu and click Add. Click then Next. 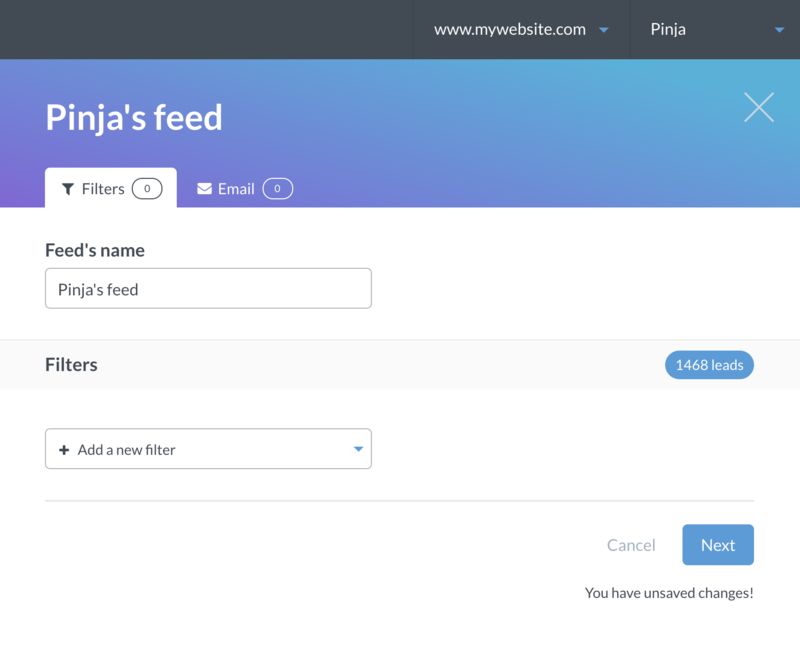 STEP 6: Read here how to automate your custom feed. If you don't want to automate your custom feed, click Save feed. Get back to the list of feeds by clicking X on the upper right corner.